Connected Data has reported both revenue for Q2, 2015 and customer bookings in H1, 2015 have doubled. It has also appointed 50 new resellers globally. Compared to the bigger players in the File, Sync and Share (FSS) market these numbers look good. While Box, Dropbox, Egnyte, EMC, Google and others in this space are all reporting double digit growth, none of them are reporting a doubling in bookings. What we do know from the other players is that many of them are still struggling to be profitable in this area and players such as Box are still burning through cash reserves. As a private company, Connected Data has not given out its profit margin so it is difficult to see if it really is doing as well as the doubling of revenue might suggest. Unlike the majority of the FSS and Enterprise FSS (EFSS) Connected Data is not selling storage capacity inside the cloud. This means that it has avoided the current pricing war that is affecting many other FSS and EFSS providers. Instead, Connected Data has focused on those companies that want to continue to build out their own infrastructure but want to make data access simpler for their users. This year Connected Data has made a number of announcements around its Transporter family of storage appliances. In February it announced the Transporter 15 and 30 appliance and in June it added the Transporter Network Storage Connector which it bundled with its Transporter 75 and 150 appliances. The increased attention being paid to compliance and data sovereignty has meant that some countries and industry verticals are looking for alternatives to public cloud FSS. Some of the markets where Connected Data has targeted its solutions are Legal, Financial Services and Healthcare. 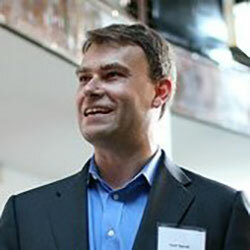 According to Geoff Barrall, CEO, Connected Data: “It is a constant challenge for corporate IT when their users choose personal public cloud services like Dropbox for their file sync and sharing needs because they leave the company with no way to ensure corporate data is secure, private and protected. Over the next year it will be interesting to see if Connected Data begins to address the cloud service provider market. Many players in this space are struggling to deploy their own FSS solution. This opens up the opportunity for Connected Data to develop solutions whereby service providers could deploy Transporter appliances as part of a cloud backup solution for existing Connected Data customers. While the ability to double customer bookings and revenue looks impressive, Connected Data needs to give more detail about whether this is really translating into profitability. It is currently able to trade on the concerns that compliance and regulators are generating but public cloud FSS providers are already adapting to regulatory demands and launching their own industry vertical and in-country solutions.